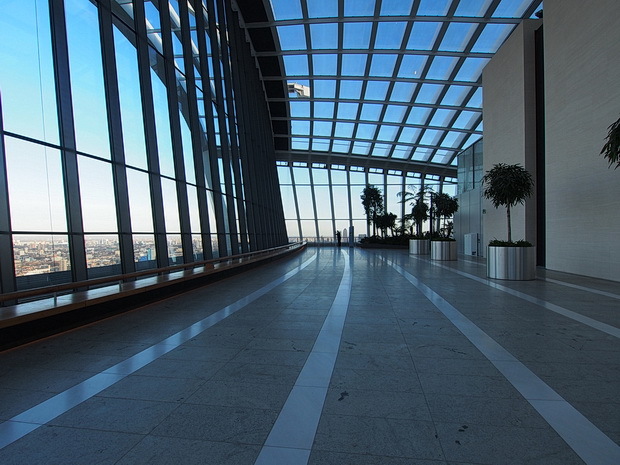 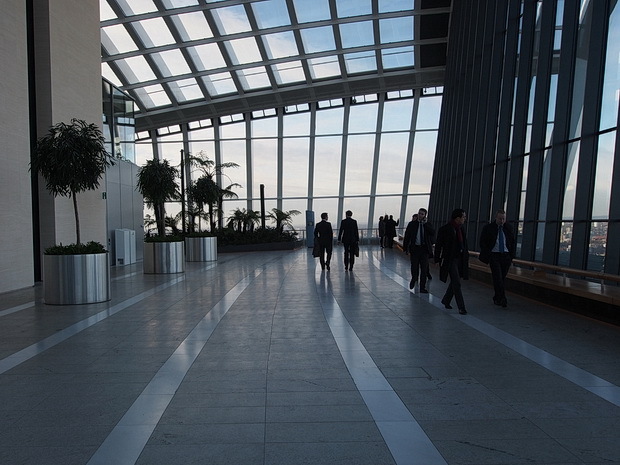 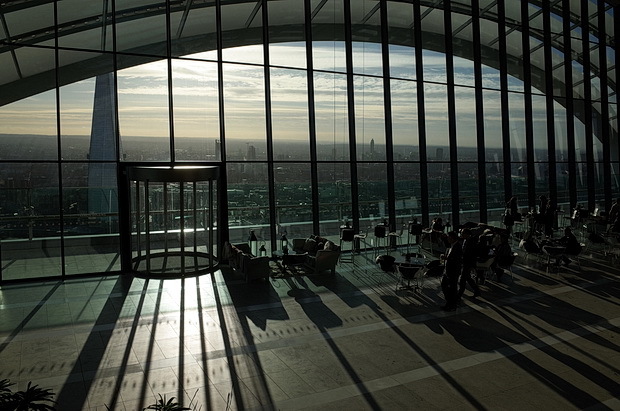 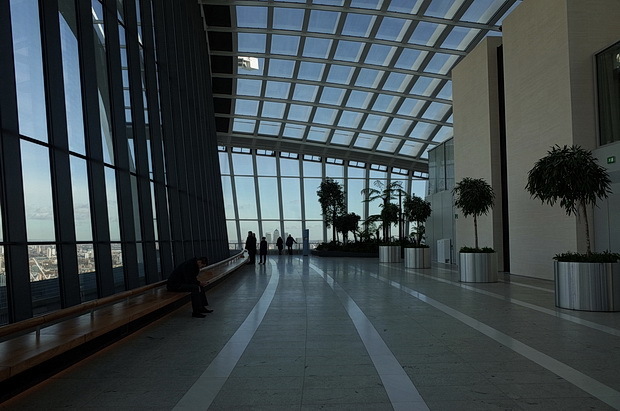 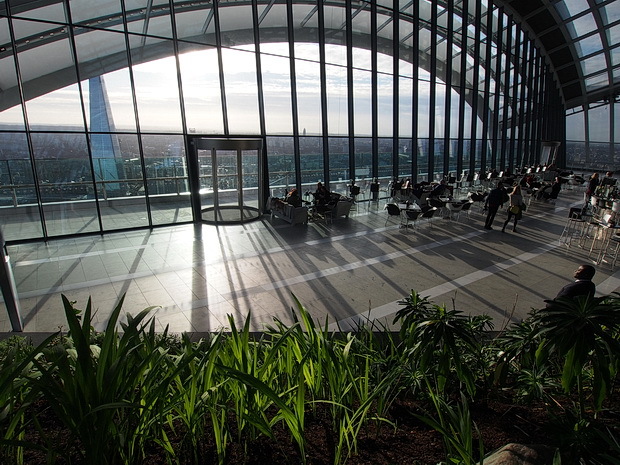 The Sky Garden in the Walkie Talkie tower at 20 Fenchurch Street has now opened to the public, so I took a stroll around yesterday. 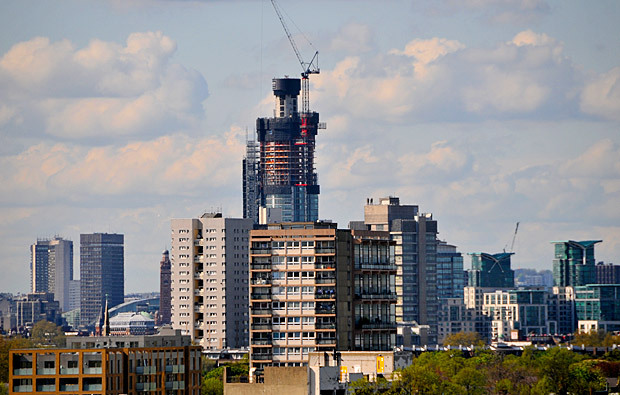 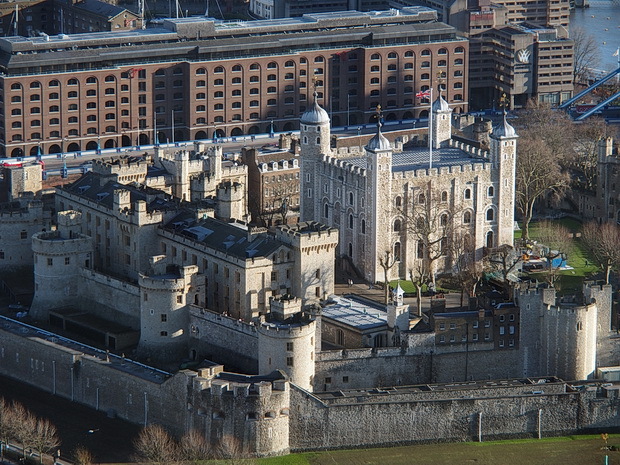 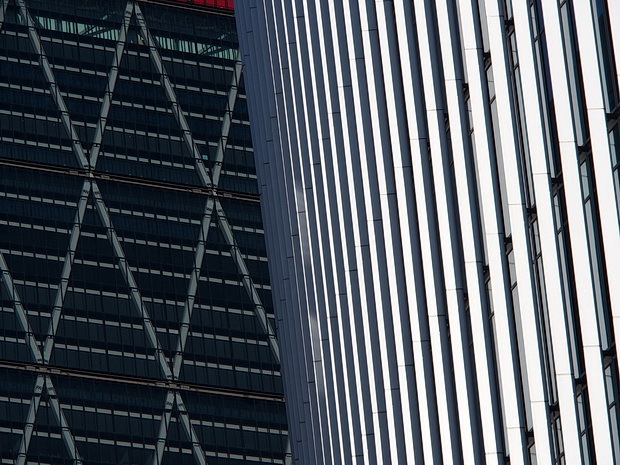 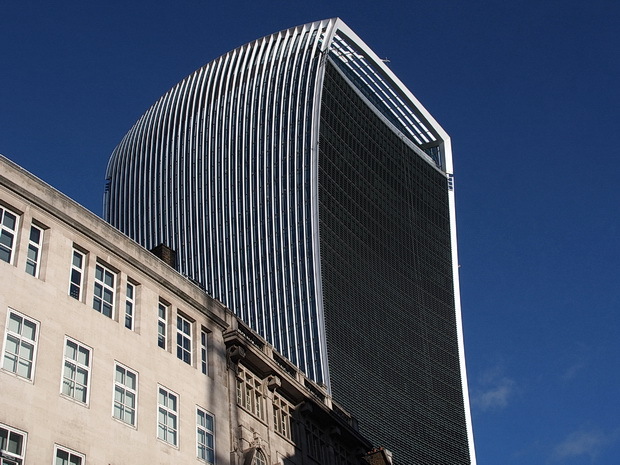 The tower’s curious top -heavy appearance swiftly split opinion when it was announced, and led to it acquiring the nickname of the Walkie Talkie tower. 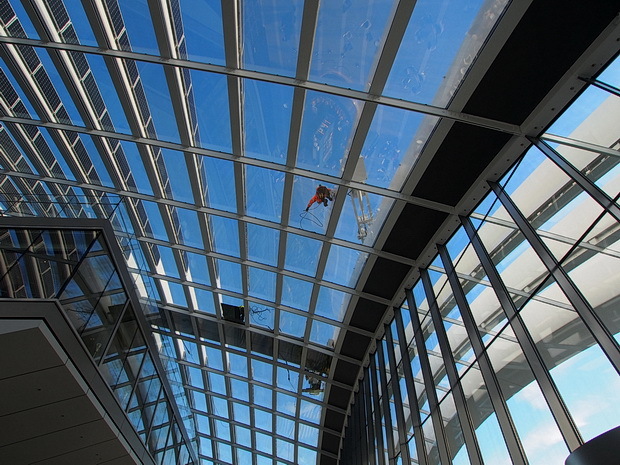 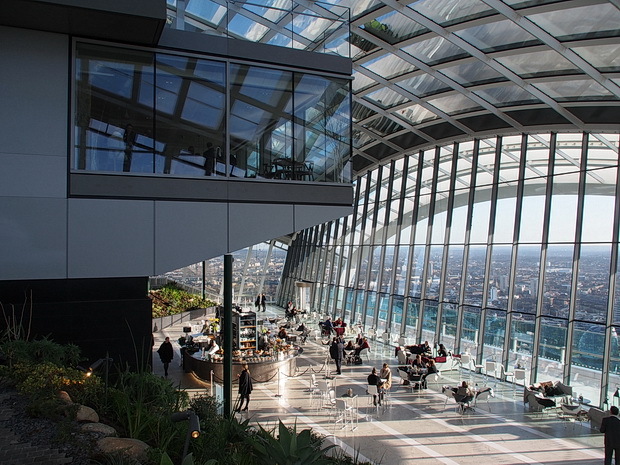 Construction was completed in spring 2014, with the Sky Gardens opening last week. 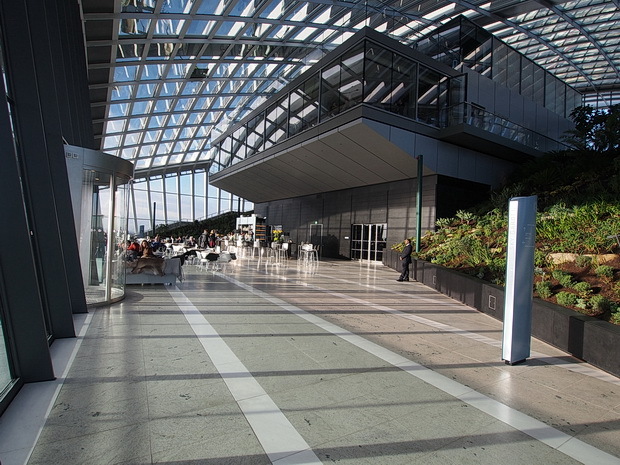 Entrance to the Sky Gardens is via an entrance on a pedestrianised stretch on one side of the block. 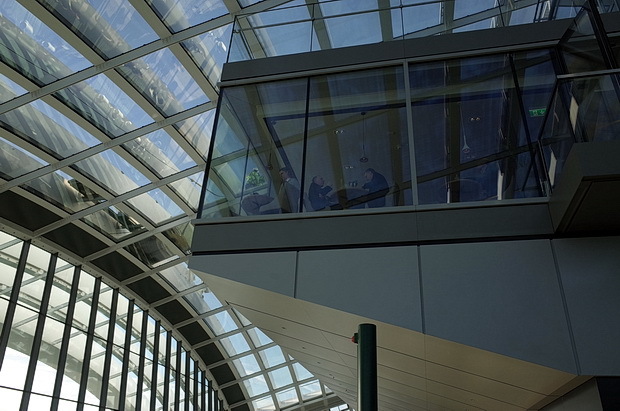 Visitors have to go through airport-style security to get into the lift, with metal detectors and bag inspections. 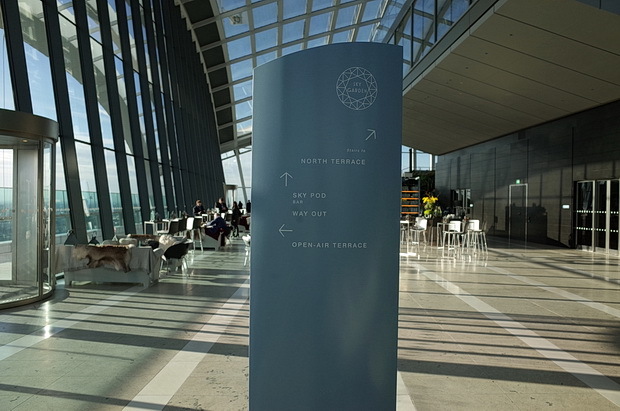 You also need your passport or driving licence to get in. 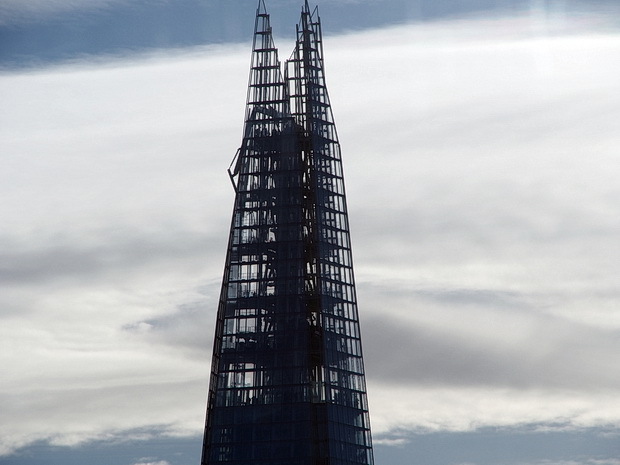 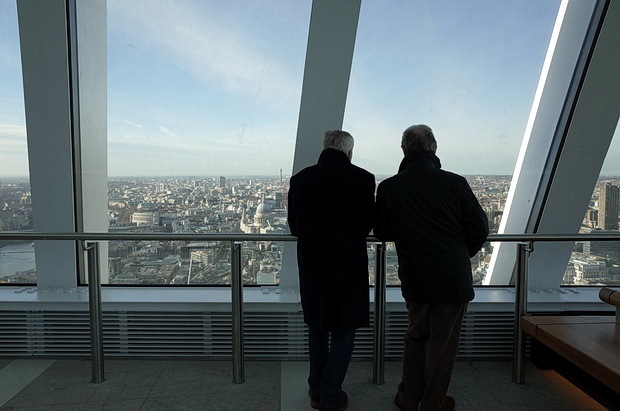 The views are spectacular – in some respects they’re better than those from the much taller Shard because you’re right in the middle of the city. 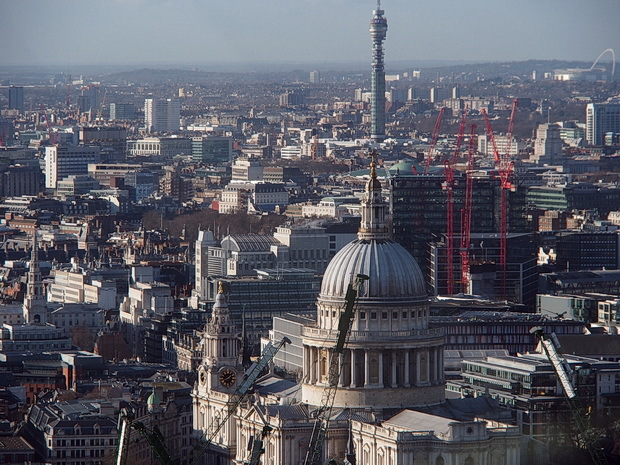 St Paul’s and Telecom Tower. 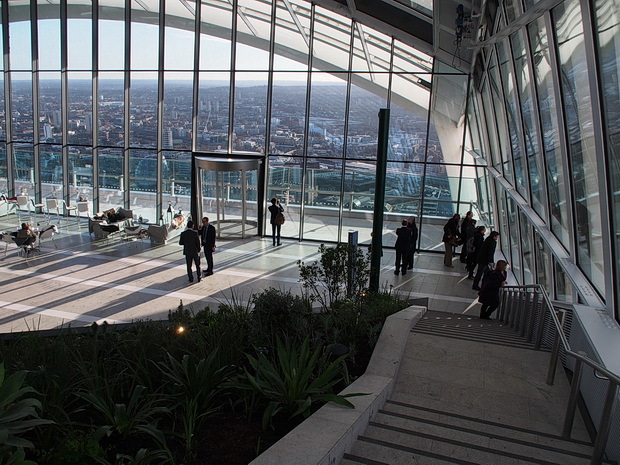 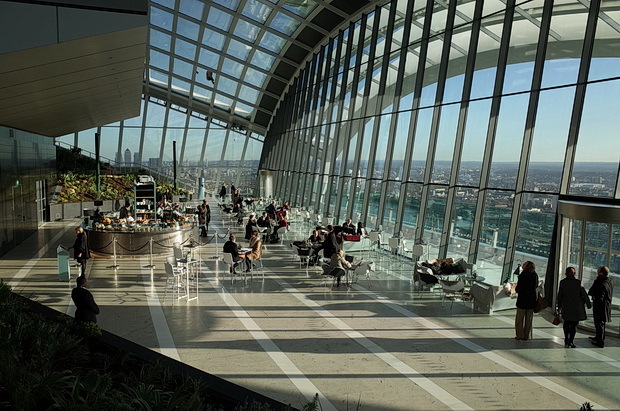 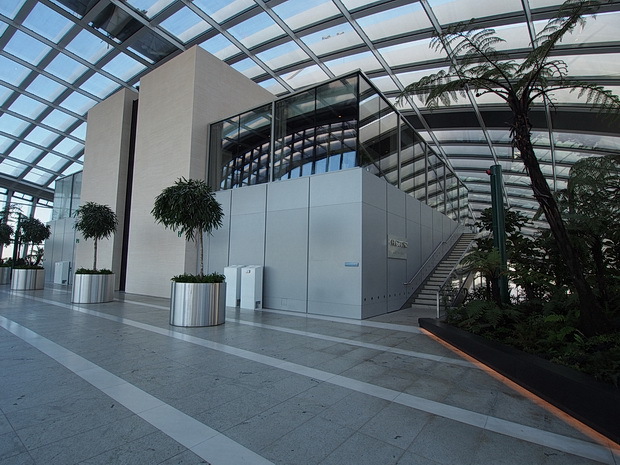 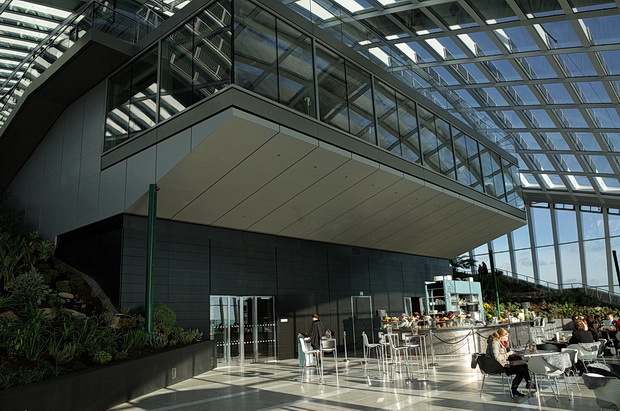 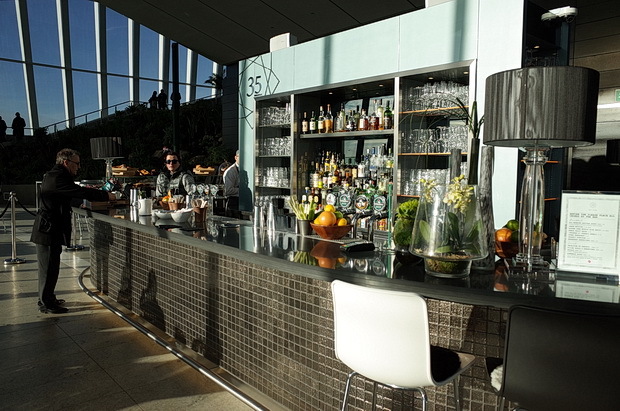 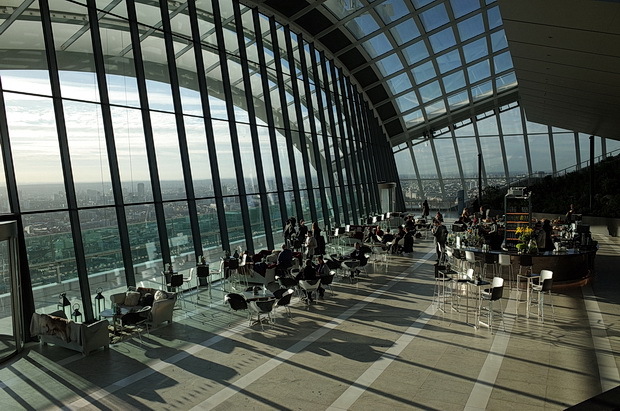 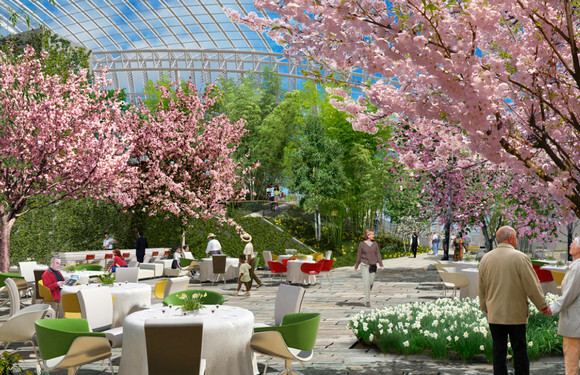 The Sky Gardens are on two levels, with another viewing area and restaurant in the top area. 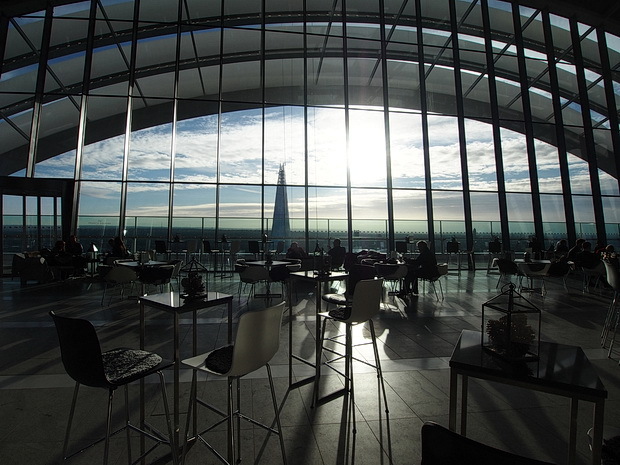 The cafe is surprisingly affordable – coffee, cake and sandwiches are priced the same as any other regular cafe and the setting is truly spectacular: the only problem is that you need to book a pass every time you want to go. 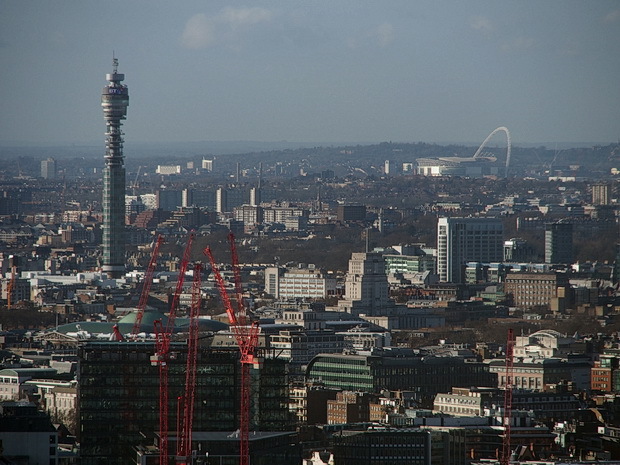 Telecom Tower and Wembley Stadium. 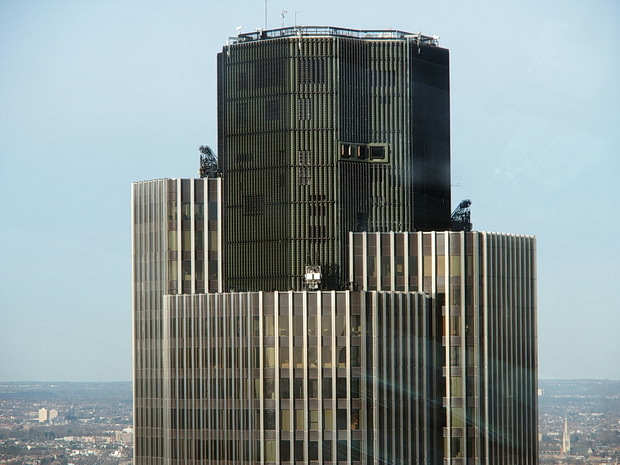 Top of the adjacent Cheesegrater skyscraper. 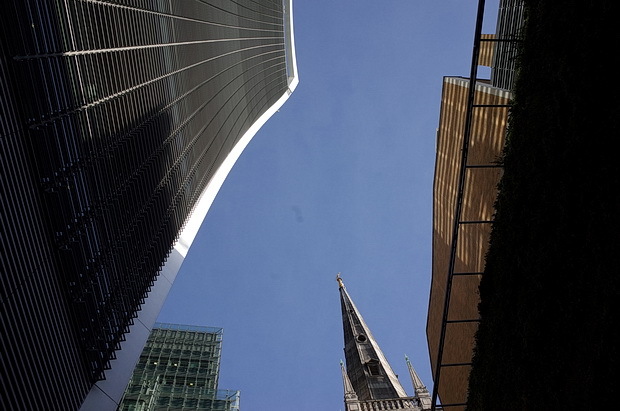 Old and new: Tower 42, Cheesegrater and The Gherkin. 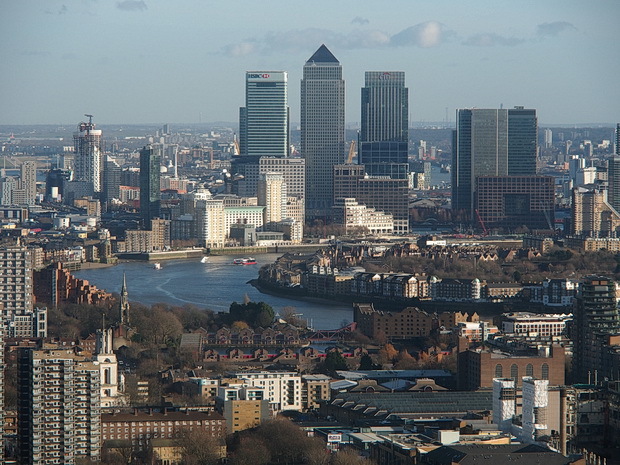 Canary Wharf to the east. 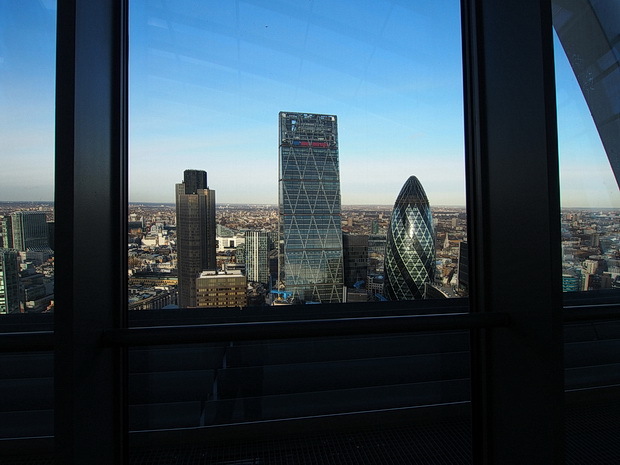 Top of the Gherkin at 30 St Mary Axe, which boasts 41 storeys, and is 180 metres (591 ft) tall. 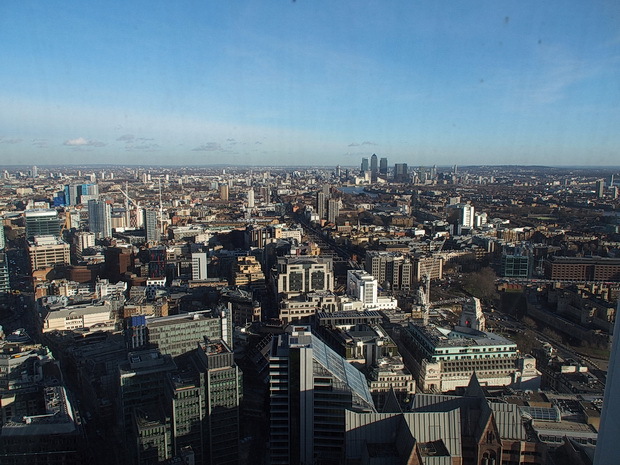 Looking east towards Canary Wharf. 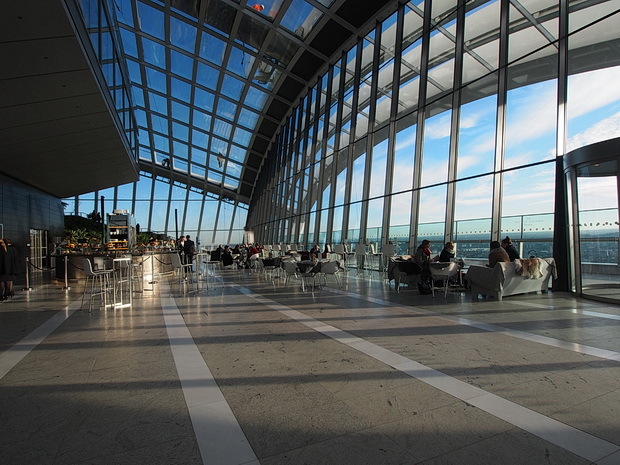 Looking down at the cafe area. 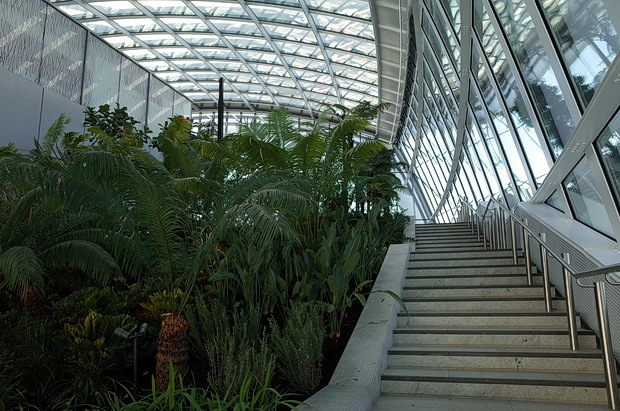 There’s nowhere near as much greenery as was originally promised, but it’s still pleasant to walk around. 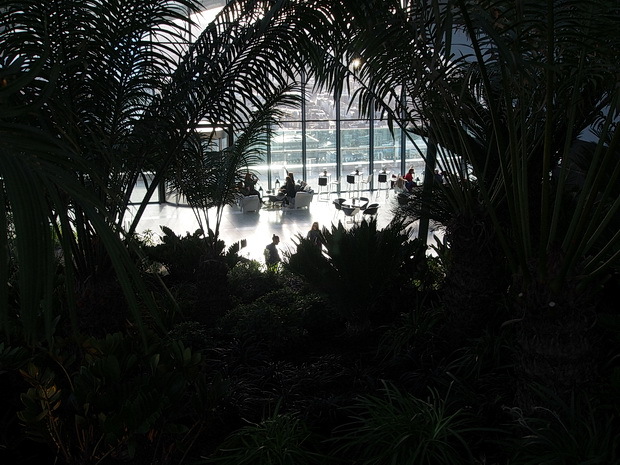 Winter shadows in the Sky Garden. 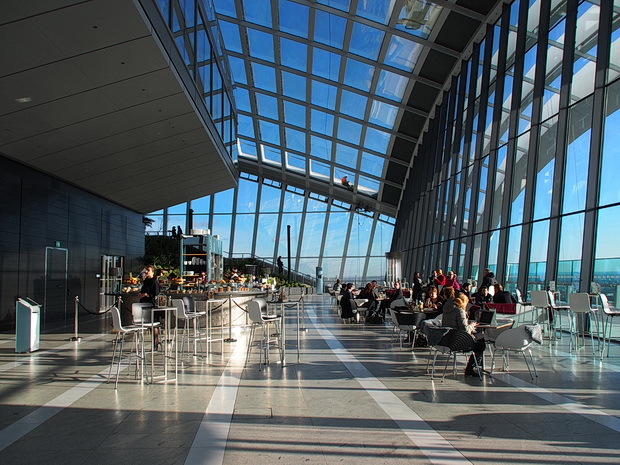 The Open Air terrace was not open, unfortunately. 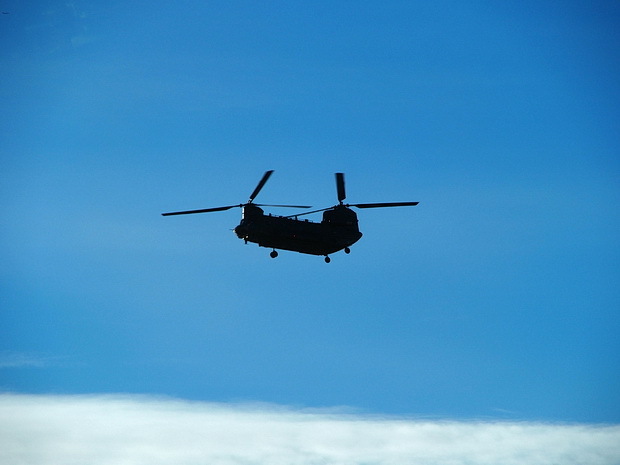 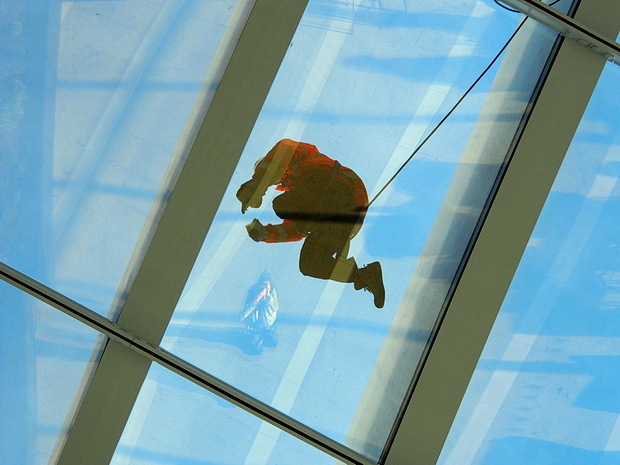 Work was still going on at the roof, with several workmen scuttling around above. 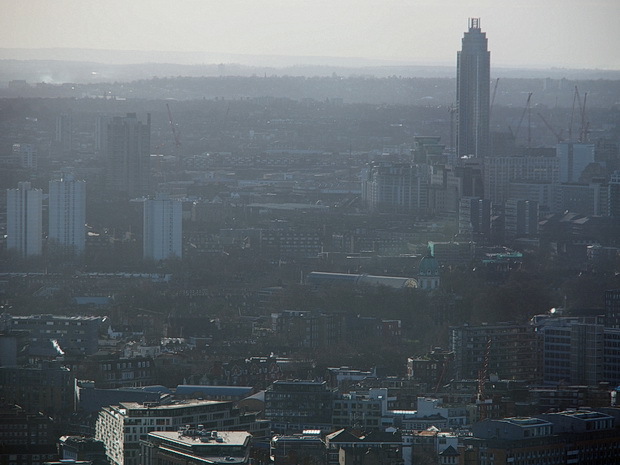 Looking south with the St George Wharf Tower to the right. 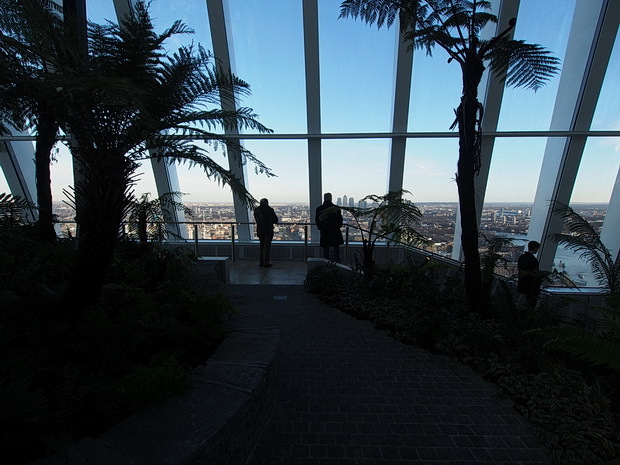 I took one more circuit of the Sky Garden – here’s the rest of the photos. 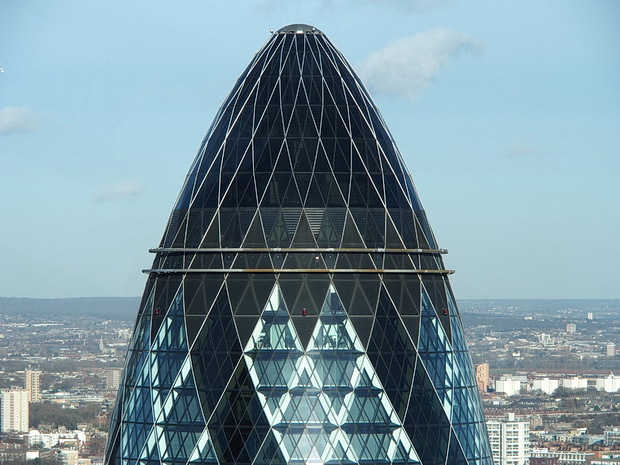 In 2014, reflections from the curved building started fires and caused damage to nearby businesses, and, famously, managed to melt parts of a parked Jaguar car. 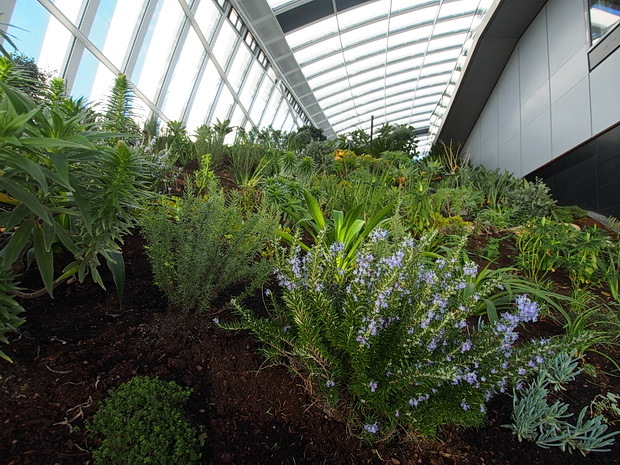 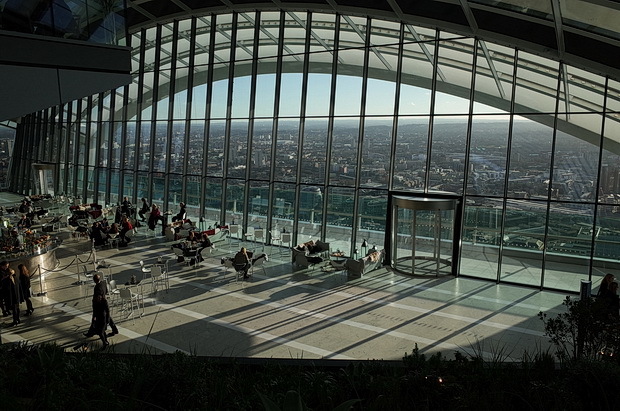 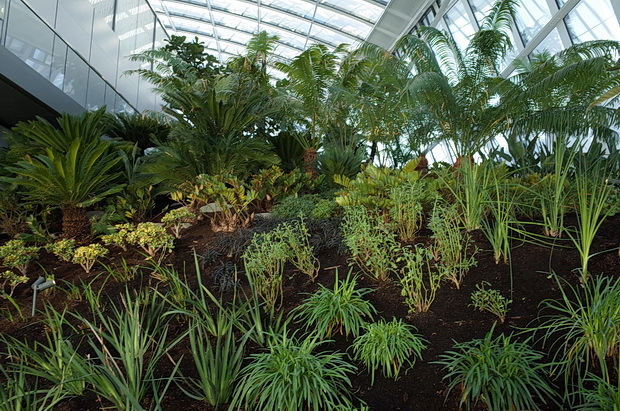 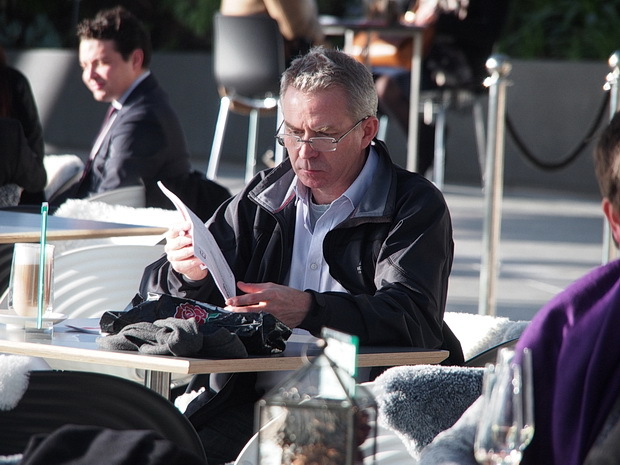 It’s free to visit the Sky Gardens, but you need to book a slot online (it’s currently fully booked until March 2015). 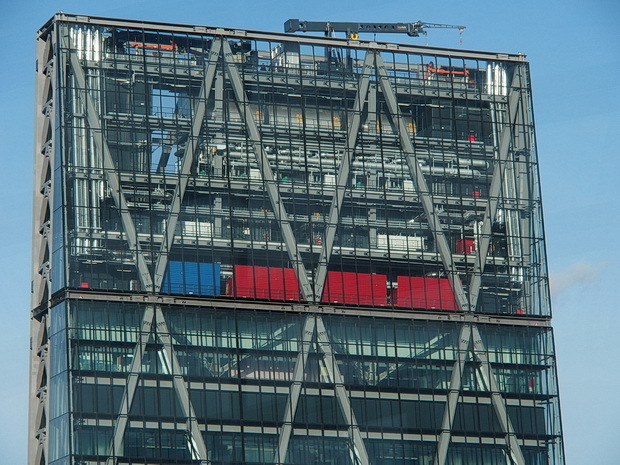 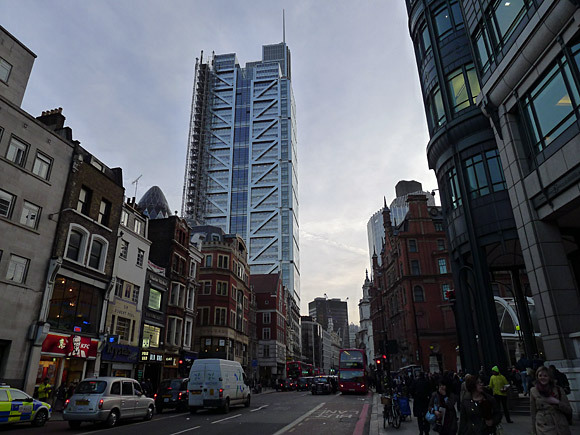 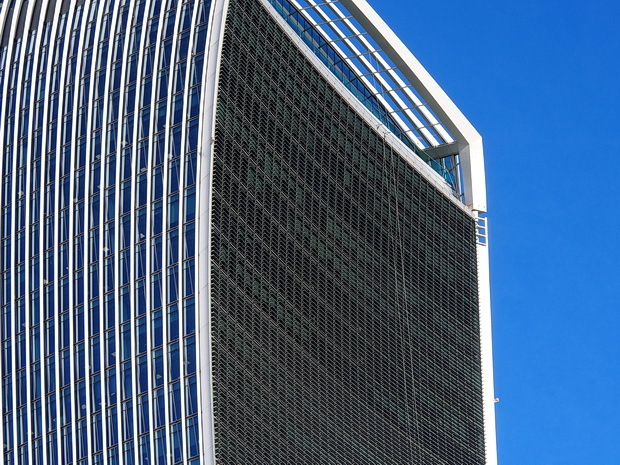 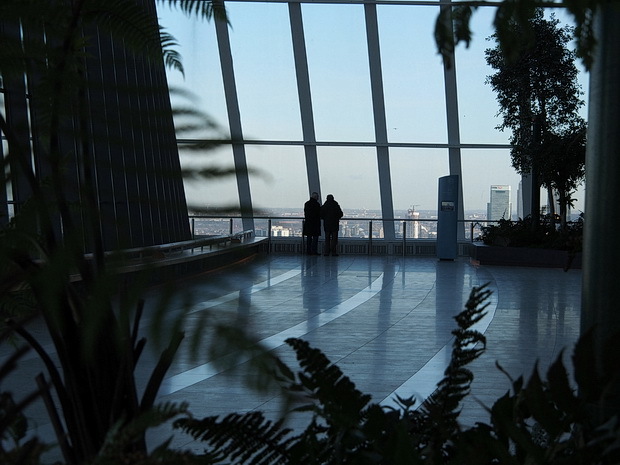 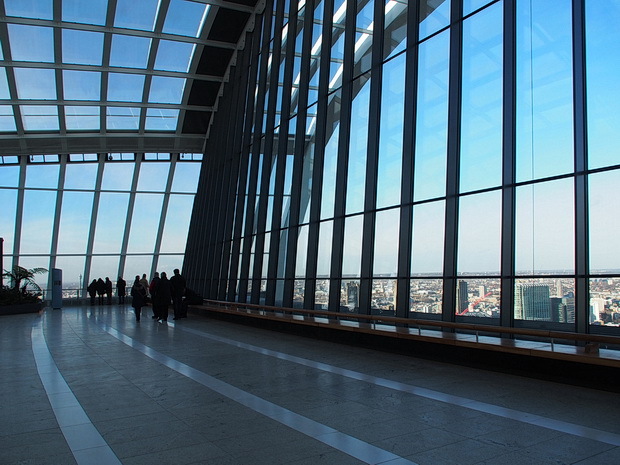 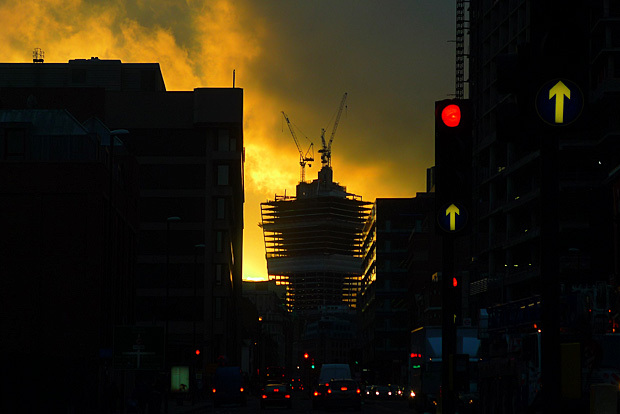 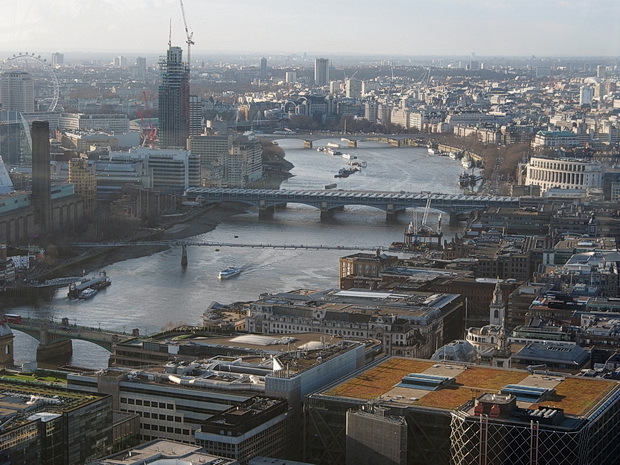 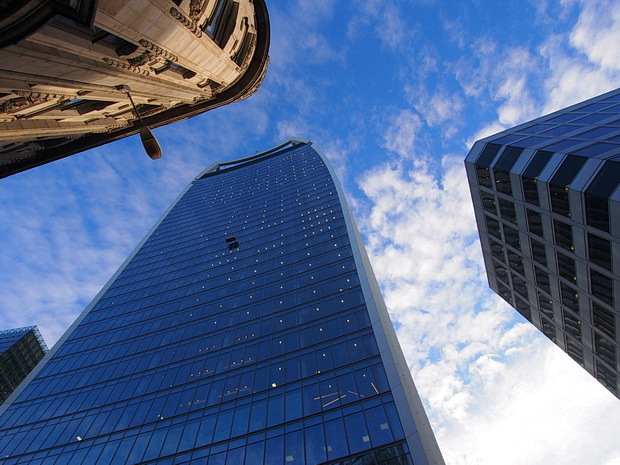 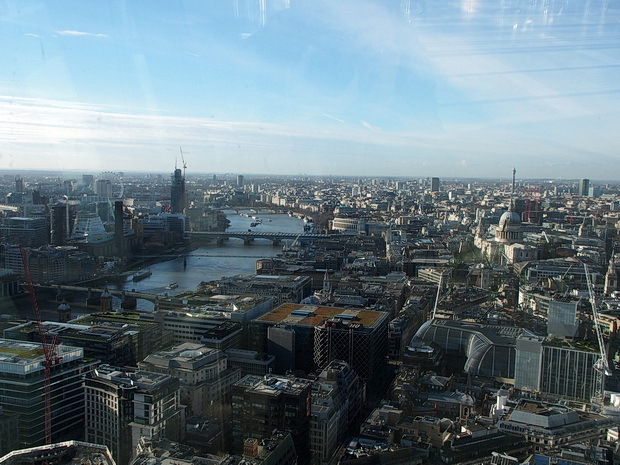 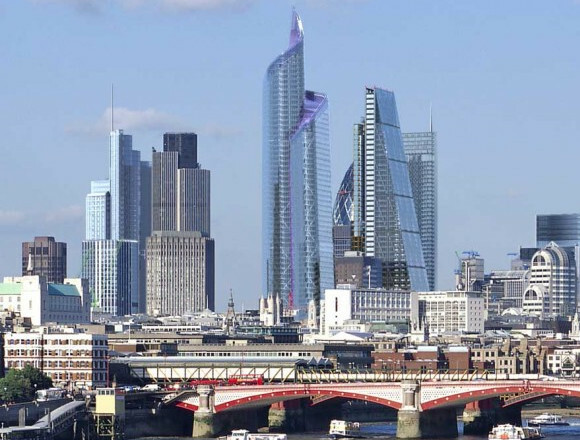 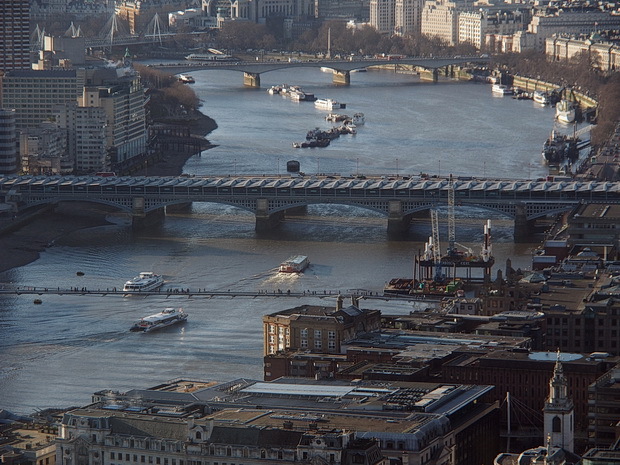 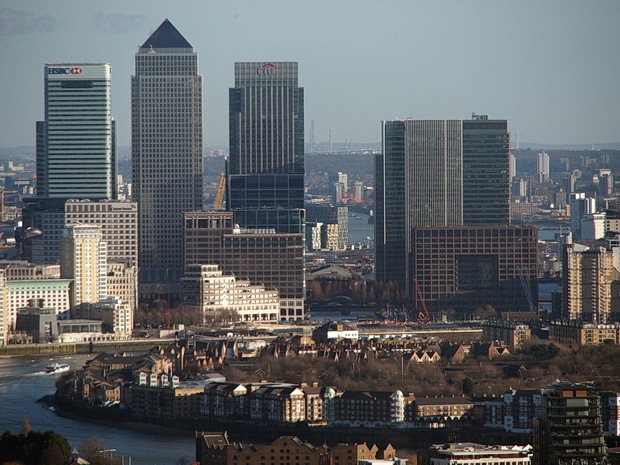 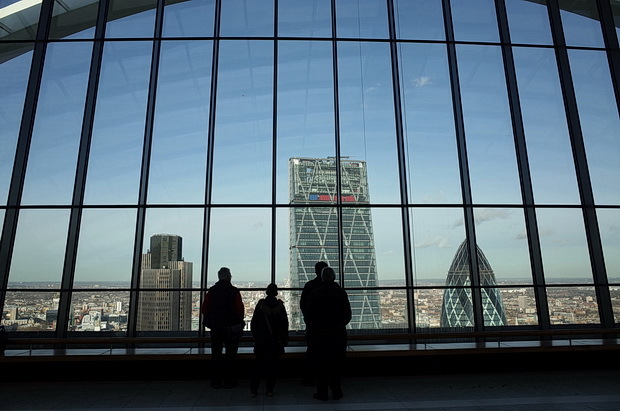 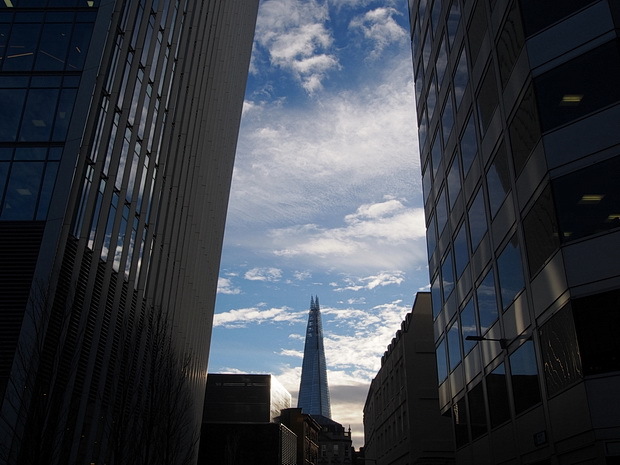 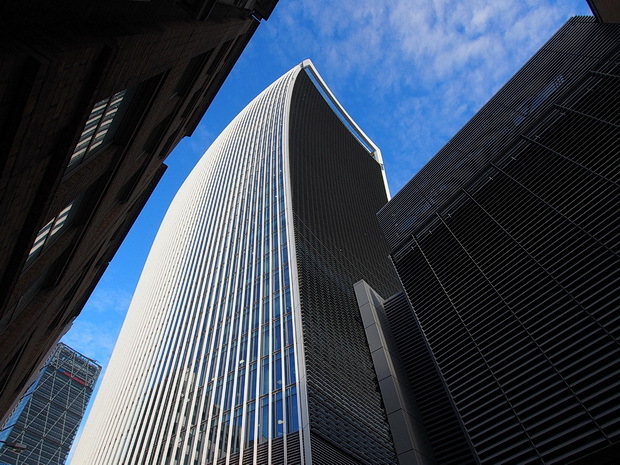 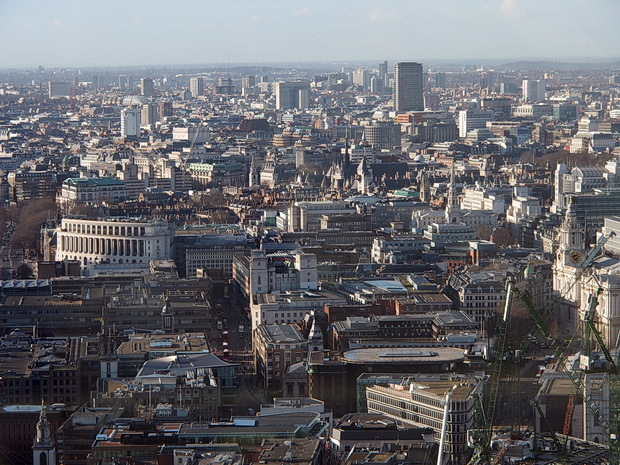 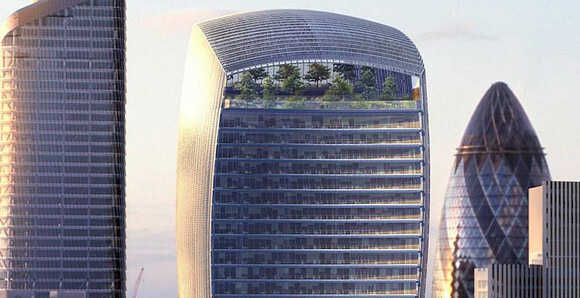 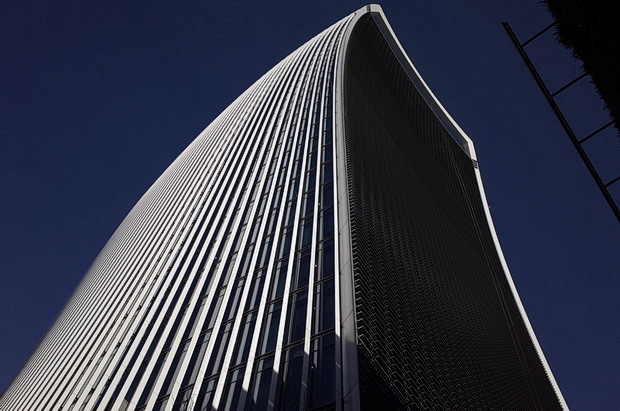 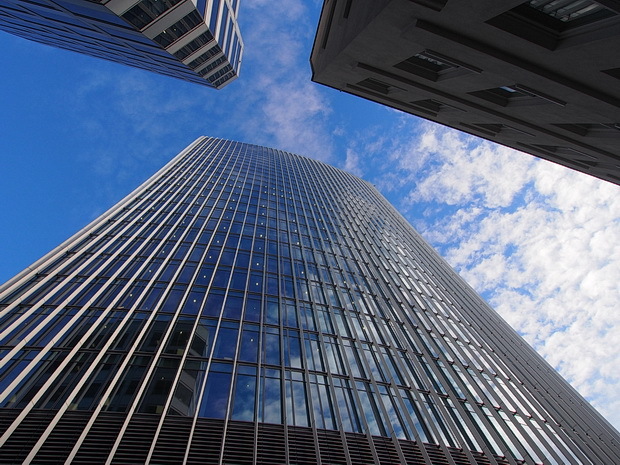 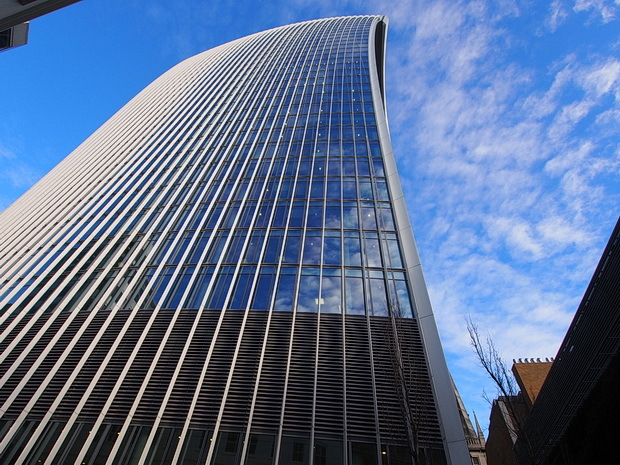 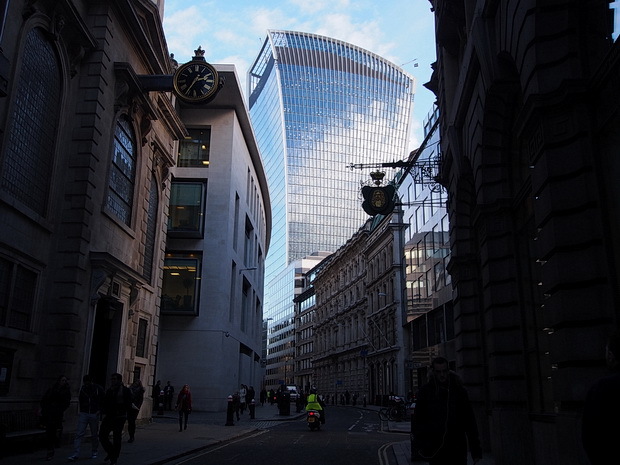 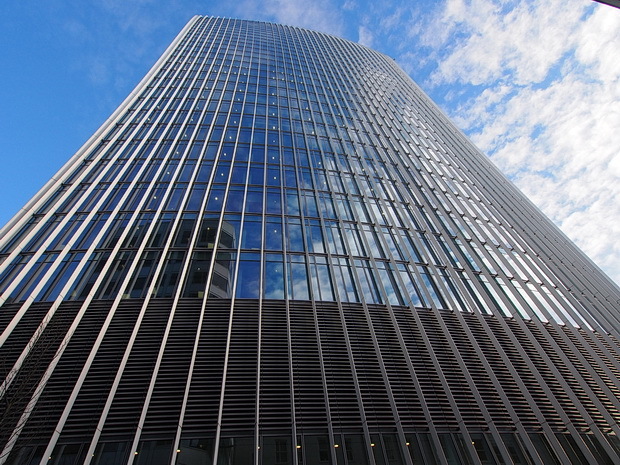 More: Discuss the Walkie Talkie tower and sky gardens on the urban75 forums. 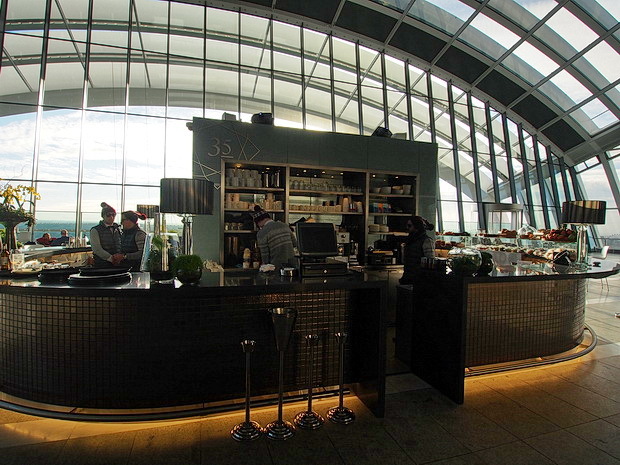 Looks like a huge first class airport lounge, hats off to it being free to get in tho, even with a long book ahead. 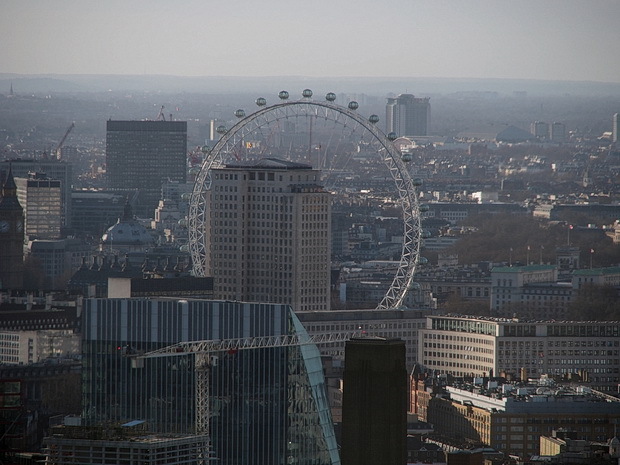 Greaaaat pictures! 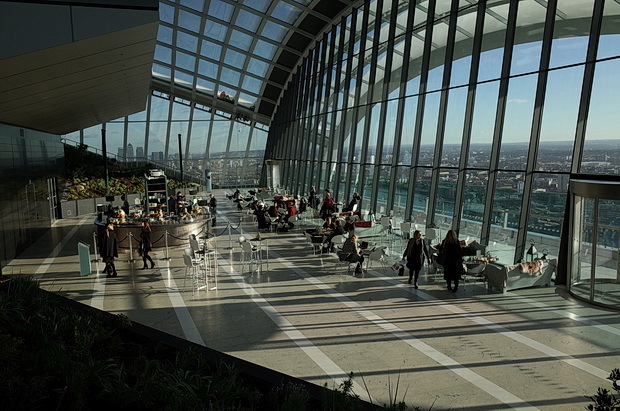 Tho I guess it’s really crowded now as it opened few days ago. 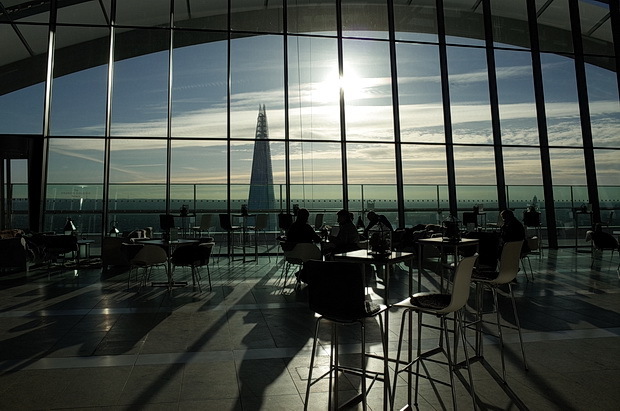 Maybe it’s a better idea to go in 1-2 months when things settle and you can enjoy this place’s charm. 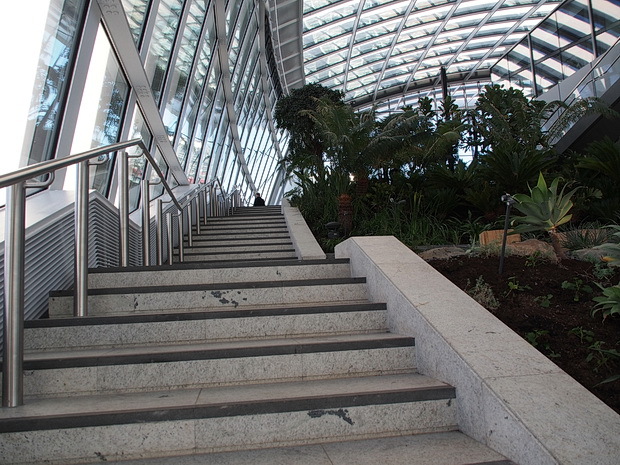 It’s not a park but still.. they did nice job there.